When Maksim was born, doctors found protein leaking in his kidneys, so they sent him to Sydney Children’s Hospital, Randwick for further testing. There Maksim was diagnosed with a very rare condition called Denys-Drash syndrome. He was likely to develop a tumour and his kidneys would almost certainly fail. His parents Kellie and Stevan were devastated. “It was stressful at the beginning because it’s so rare, there’s not a lot of information” says Kellie, Maksim’s mum. As Maksim grew, his kidney function worsened and at six months old, he had major surgery to remove a tumour. “It definitely tests you as a couple when you have a sick child – the exhaustion, the fear you have for them and not knowing what would hold,” says Kellie. 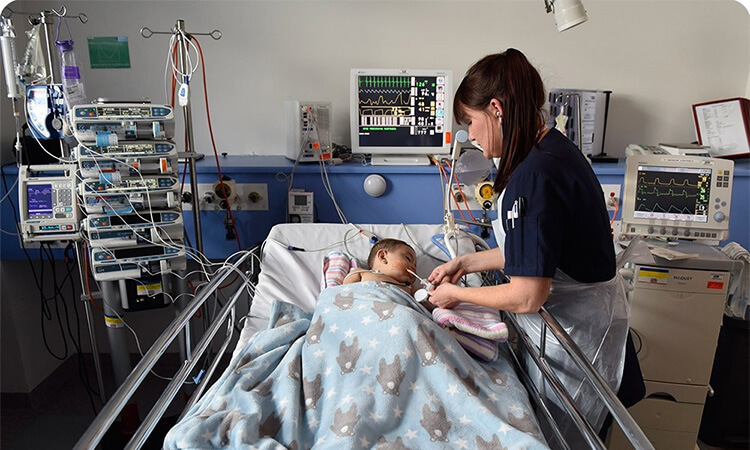 It took a paediatrician, endocrine doctor, renal doctor, transplant surgeon, general surgeon, renal nurse specialist, intensive care doctor, radiologist team and pathologists, to save little Maksim, and thankfully he was able to go home. But on Father’s Day of 2016, Maksim started vomiting. Little Maksim had gone into renal failure. Kellie and Stevan rushed him to the Hospital. He spent a week in Intensive Care and another month in a ward, mostly too sick to move. He lay in bed, dependent on hours of dialysis to filter waste from his blood and keep him alive. He was lucky to have Dr McCarthy, a renal specialist, on his case to make sure he got better. But dialysis was far from an ideal treatment. He needed a kidney transplant. So, Maksim’s dad, Stevan, put his hand up. He would donate one to save his little boy’s life. And just before Christmas last year, Stevan and Maksim both underwent the operation. 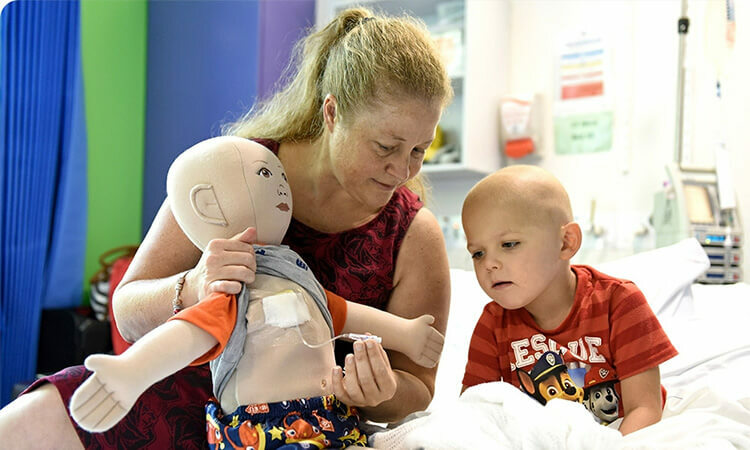 The doctors, nurses and staff at Sydney Children’s Hospital, Randwick were able to save Maksim’s life. But they couldn’t have done it without the support of people like you. Maksim spent this Christmas and New Year at home with his family. Where he belongs. Please, make a donation below so other kids can make it home too. 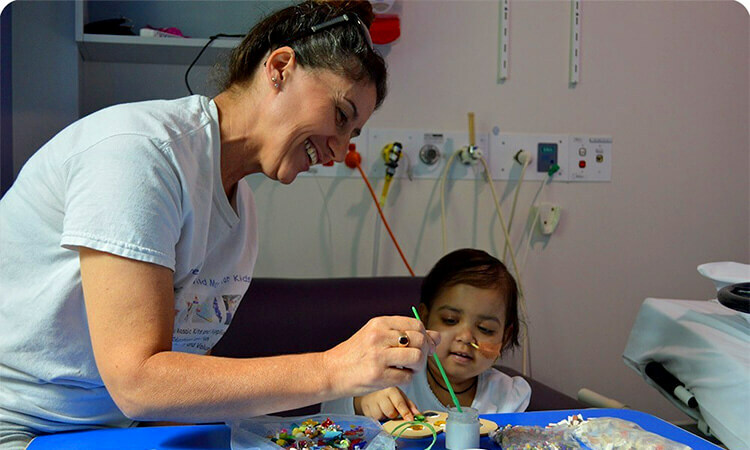 $50 Can help buy a range of specially adapted toys for children with neurological and physical disabilities who find it difficult to play with regular toys. $100 Could provide materials for a pop-up art workshop beside a child’s bed. $500 Can go toward funding genetic testing for a family desperately seeking a diagnosis for a child who has a rare disease.